Courtesy of Tami Holmes, HER REALTORS. Custom built Kniess & Associates! Quality construction, fully wrapped brick ranch with a HUGE amount of features & amenities thru-out! Over 4100 sq feet of space! Desired open floor plan. Crown molding and ceramic tile floor greet you as you enter. The main level features high-end flooring a Master bedroom with coffered ceiling including a full en-suite, 2 walk-in closets. The 2nd bedroom has a laundry chute, cathedral ceiling and large closet. Large living room with custom stone gas fireplace, breakfast area with deck access, & stairs to the back yard. Gorgeous kitchen w/center island, custom cabinets for optimal organization + pantry! In-law suite has coffered ceilings, a bath, laundry, bedroom, and living room. Full basement features a family/rec room, 4th bed/craft/office/workout room, and ample storage space. This home has so many updates we have a 2 pg. feature sheet left at the home. Over-sized 3 car garage and lawn sprinkler, in front back & flower beds!! Low utilities! Directions: Head west on Benner Rd toward Medlar Rd. Turn left onto Medlar Rd. Turn left to stay on Medlar Rd. Turn right onto Russell Ct. Please, send me more information on this property: MLS# 782754 – $429,820 – 1825 Russell Court, Miamisburg, OH 45342. 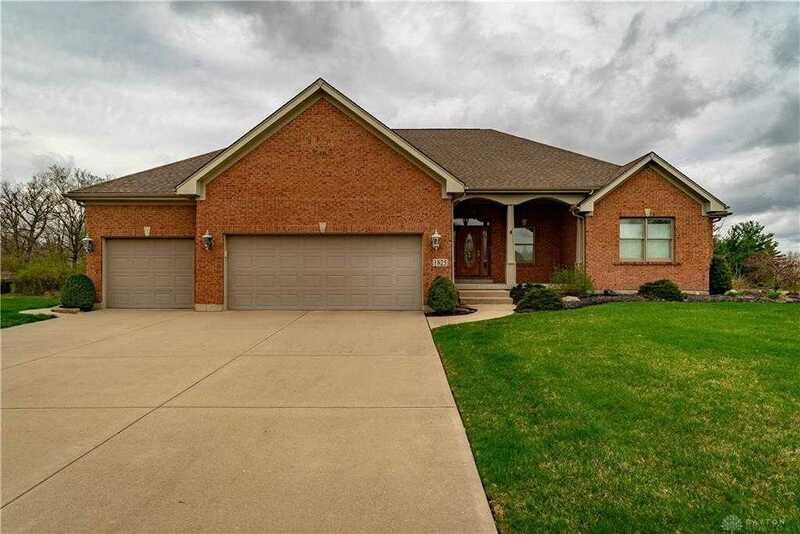 I would like to schedule a private showing for this property: MLS# 782754 – $429,820 – 1825 Russell Court, Miamisburg, OH 45342.